With solid expertise in media, business and law, Sunni’s offerings are as broad as they are rich. Earlier in her career, she was a staff attorney with the Institute for Public Representation (IPR) in Washington, DC. In the former capacity, she represented various nonprofits in broadcast proceedings with the Federal Communications Commission (FCC) and in litigation before the U.S. Court of Appeals for the District of Columbia Circuit, including oral argument before the "Notorious RBG." Her background also includes positions in the legal divisions of the International Telecommunications Satellite Organization (INTELSAT), Black Entertainment Television (BET) and NBC Network in New York City. Sunni also has been a political speechwriter, a media director for the Center on Budget and Policy Priorities on Capitol Hill. As a CORO Foundation public policy fellow, her qualifications afforded her the opportunity to work directly with District Attorney Gil Garcetti, with UCLA’s Institute for Industrial Relations and with SONY Pictures Entertainment. After completing the CORO Fellowship, Sunni became Deputy Director of Women and Minority Business in the Los Angeles Mayor’s Office of Business and Economic Development and later, Executive Director of the regional office of the National Conference for Community & Justice (NCCJ), while teaching marketing research at Loyola Marymount University. In conjunction with the US Department of Commerce, she also led international trade missions to South Africa and Columbia, South America. Currently, Sunni provides transformational executive coaching and consulting around organizational imperatives such as: leadership development; change management; workplace harassment prevention; EEO guidelines; Conversational Intelligence®; cultural competency as well as bias and inclusion principles. During Women’s History month 2018, Sunni was asked to give a keynote presentation on gender bias at the Center for Nonprofit Management’s 2018 Women’s Summit. 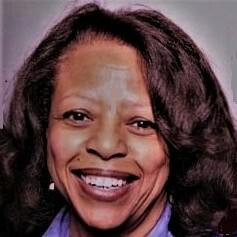 She also teaches in the graduate management program at Antioch University and in Administration of Justice at Santa Monica College's Business Department. Clients that have recently benefited from Sunni's consultancy, training, and workshop presentations include, FiLM iNDEPENDENT; Anthony Meindl’s Acting Workshop (AMAW); Genentech and Roche Int’l. ; the Liberty Hill Foundation; the Simon Wiesenthal Museum of Tolerance; Centers for Disease Control and Prevention (CDC); CoachDivertsity Institute; and Kaiser Permanente, within the Medical Group and the Health Plan Foundation. Find out more about D. Sunni Smith at http://www.cassavacoaching.com.